Above: In this photo provided by Glen Hunter, damage from Super Typhoon Yutu is shown outside Hunter's home in Saipan, Commonwealth of the Northern Mariana Islands, on Thursday, Oct. 25, 2018. As the powerful storm crossed over the island, the walls shook in Hunter's concrete home, a tin roof over the garage blew away, and howling winds terrified his cats. Image credit: Glen Hunter via AP. Widespread devastation came to light on Thursday after the overnight rampage from Super Typhoon Yutu, which struck the U.S. territory of the Northern Mariana Islands as a Category 5 storm with 180 mph winds. Yutu passed directly over the island of Tinian (population about 3100 as of 2010), putting the largest of the islands, Saipan (population about 48,000), on the storm’s fierce northern side. 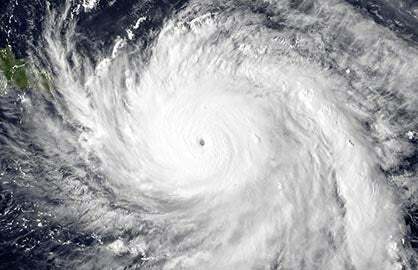 Yutu’s 180-mph winds put it in a tie with Super Typhoon Mangkhut as the strongest storm on Earth so far this year. Yutu made landfall at an intensity rarely observed; only four tropical cyclones in world recorded history have hit land with winds stronger than 180 mph. Figure 1. 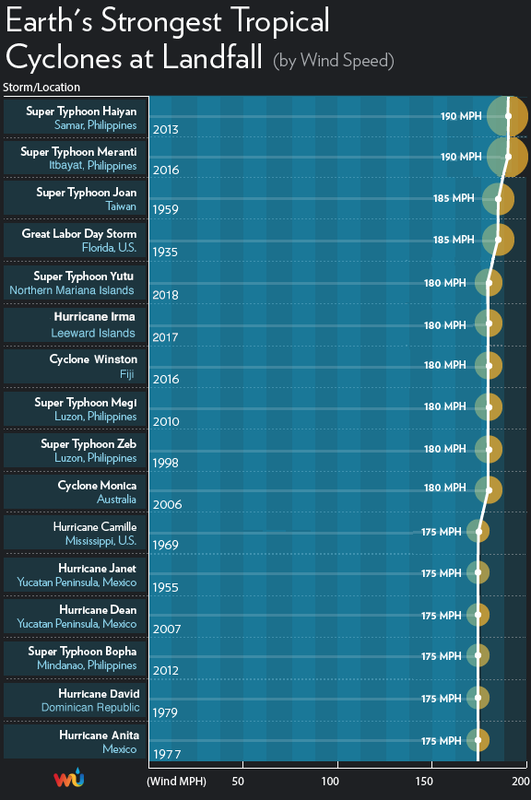 The strongest tropical cyclones at landfall in world history, according to data from the National Hurricane Center (NHC) and Joint Typhoon Warning Center (JTWC). Ominously, 7 of the 10 strongest landfalls in recorded history have occurred since 2006, so we've been updating this graphic far more frequently than we’d like to in recent years! Yutu’s landfall with 180 mph sustained winds on Tinian in the U.S. Northern Mariana Islands is tied as the fifth strongest landfall ever recorded globally. The only stronger landfall in the U.S. or its territories was the 1935 Labor Day hurricane in the Florida Keys, with 185 mph winds. Note that NHC supplies specific landfall intensity data, while the JTWC does not. Thus, the JTWC landfall intensities above are from the last 6-hourly position point of the tropical cyclone before landfall. 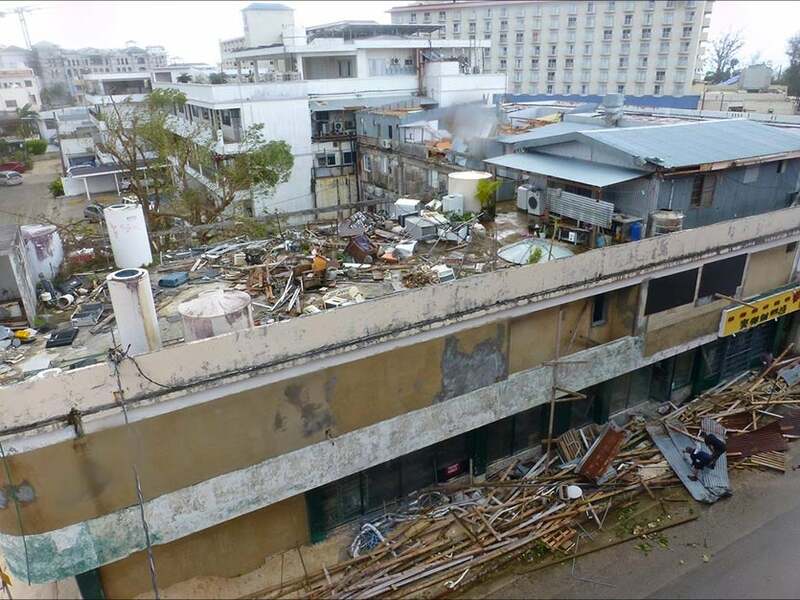 One death has been reported by the territorial governor’s office: a woman who sought refuge on Saipan in an abandoned building. Little has been heard from Tinian and nearby Rota, according to Gregorio Kilili Camacho Sablan, who represents the U.S. territory in Congress. Tinian’s mayor, Joey Patrick San Nicolas, told Reuters: "Many homes have been destroyed, our critical infrastructure has been compromised, we currently have no power and water at this time and our ports are inaccessible…We probably won’t have power for months.” San Nicolas added that it took four months to restore power after Typhoon Soudelor in 2015. That typhoon officially struck the south end of Saipan Island as an intensifying Category 2 storm but may have been as strong as Category 4 by that point. See weather.com for frequent updates on Yutu’s damage in the Northern Marianas Islands. Figure 2. Guam radar view of Super Typhoon Yutu at 2023Z (4:23 pm EDT Wednesday), after the storm passed through the Northern Mariana Islands. As usual for a tropical cyclone of this intensity, all of the regular airport observations sites failed well before the peak winds arrived. The highest reliably measured winds—sustained winds of 72 mph, gusting to 97 mph—were observed on Saipan at 12:40 am local time October 25, nearly an hour before the eye arrived. The anemometer stopped transmitting data at that point, though pressure measurements continued for another 14 minutes, hitting 948 mb before that instrument also went silent. The airports on Tinian and Rota stopped transmitting data well before the worst of the storm arrived. The peak wind gust on Guam was 53 mph. Interestingly, the intense subsidence (downward moving air) on the periphery of Yutu as it approached the Mariana Islands resulted in record-warm October heat on Guam. On October 23, the day before the typhoon arrived, the high temperature at Guam International Airport hit 93°F. This was the hottest October temperature ever measured on Guam, according to weather records expert Maximiliano Herrera. Record highs such as this are not uncommon on the periphery of major tropical cyclones. The Hong Kong Observatory set its all-time record of 36.3°C (97.3°F) on August 8, 2015, as Typhoon Soudelor passed well to its northeast across the Taiwan Strait. The observatory’s previous all-time record of 36.1°C (97.0°F) had been recorded most recently on August 18, 1990, as Typhoon Nancy approached Taiwan. Figure 3. 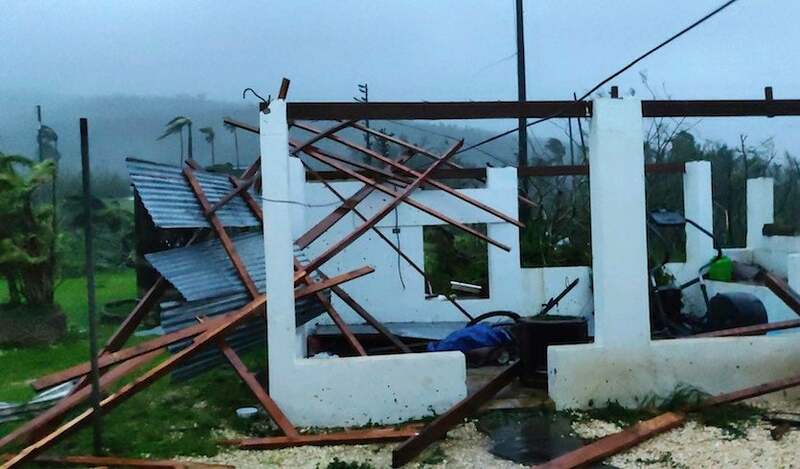 The tourist district of Garapan village on the northwest side of Saipan Island on October 25, 2018, after experiencing the north eyewall winds of Super Typhoon Yutu. The damage shown is to an abandoned poker parlor destroyed in Category 2 Typhoon Souledor in 2015. Next door is an indoor shooting range. Image credit: Copyright David Pan, used with permission. David Pan, who took the photo above, sent us an email on what is was like to endure Yutu’s hit on Saipan from Garapan village, located on the northwest side of the island. 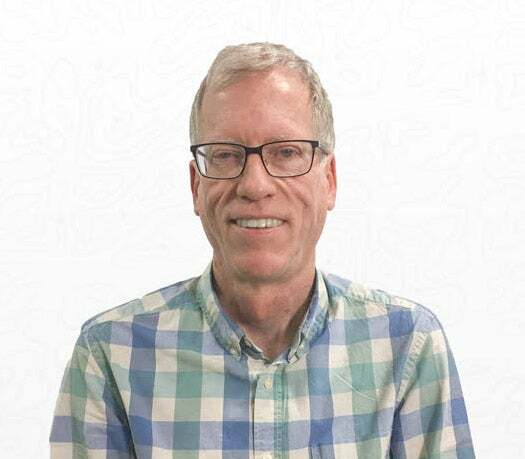 David has been posting comments at Category 6 under the handle “Carmot”. “Riding out the storm was fairly stressful. By 7 pm, winds and rain already picked up. I knew I was in for another solid 12-15 hours before conditions improved. At 1 am, I left my room to see if I could get any photos or video. I literally couldn't pull a door closed! Walking on my fourth floor, a couple times the wind stopped me in my tracks and even forced me backwards a step or two. Maybe 120+ mph ripping driving rain into my face. “In my building, some workers were using a dustpan to scoop flooded water from the interior stairwell. I mean like 4 inches deep. Water running down the stairs. “One said it wasn't as bad as Soudelor. I explained the eye was still coming. And that we had 7-10 hours before it possibly would calm down. Another said he was worried about his house. I asked what kind of roof, pitched or flat. He steepled his hands. I asked how big his overhang. He said 5 feet. Okay. Around 7:30 am I saw him again, his landlord said the roof blew off. I asked if the walls collapsed. He didn't know. He took and shared all this in a very mild manner. I hugged him and said I feel for you, brother. David went on to recount that the Commonwealth of the Northern Mariana Islands (CNMI) will face a tough recovery, because they are so far behind economically. The poverty rate is around 42 percent, and many structures are of poor-quality construction. The islands import about 85 percent of their fresh fruit and produce, and rely on diesel power generated from 60-year-old power plants that barely run at 80% capacity due to failure and age. CNMI’s population dropped by more than 20% between 2000 and 2010, after a number of garment factories left the island and many jobs disappeared. In the wake of Yutu, said David, "The CNMI is facing a major crisis." Figure 4. Enhanced infrared image of Super Typhoon Yutu as of 1735Z (1:35 pm EDT) Thursday, October 25, 2018. Image credit: RAMMB/CSU/CIRA. 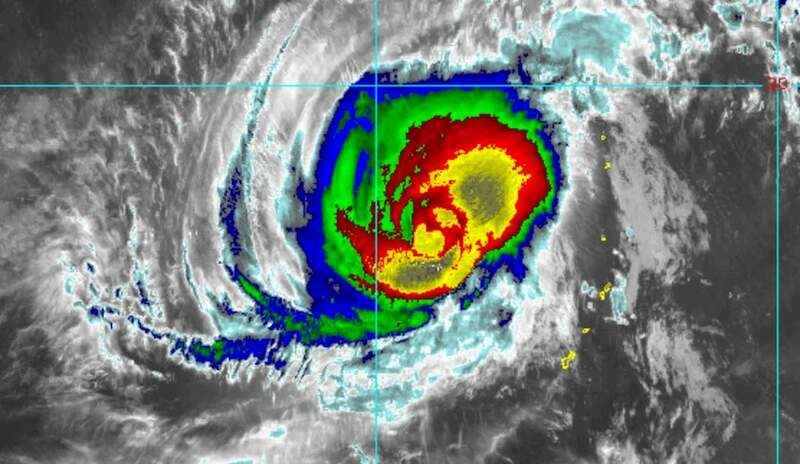 Still a Category 5 super typhoon as of 11 am EDT Thursday, Yutu was packing top sustained winds of 160 mph. Intensity models, and the official forecast from the Joint Typhoon Warning Center, agree that Yutu will weaken steadily over the next five days, as the typhoon moves into a region of strong wind shear (20 – 25 knots) that will drive increasingly dry air into the circulation. Yutu was undergoing an eyewall replacement cycle on Thursday, as the typhoon’s small eye was eroding and a new, larger eye was beginning to form. Sea surface temperatures will remain warm (around 28-29°C or 82-84°F); together with an outflow jet to its north that will remain strong, Yutu should be able to maintain robust thunderstorm activity. It's still quite unclear what will happen to Yutu next week. By Tuesday, the typhoon is predicted by JTWC to be a Category 3 storm, about 1-2 days away from reaching Taiwan, the northern Philippines, or the waters between them. Most of the long-range model guidance has called for Yutu to sharply recurve toward the east-northeast before reaching these islands. However, the 0Z and 12Z Thursday runs of the European model bring Yutu across the northern Philippines. Figure 5. 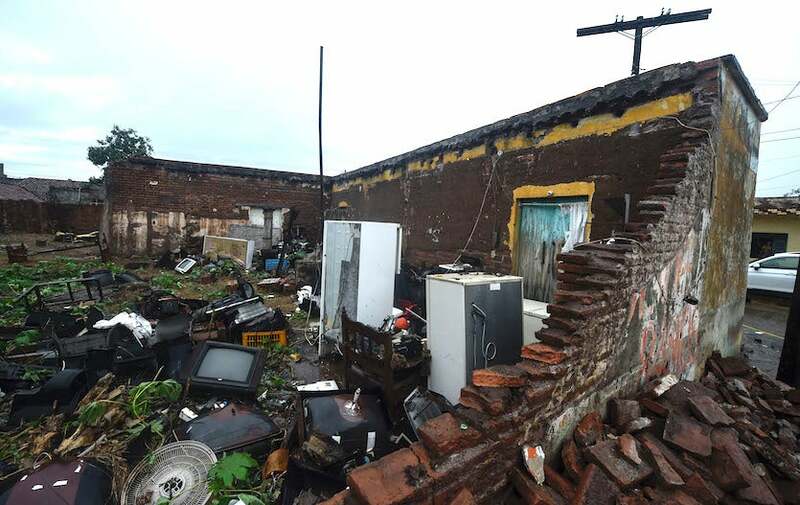 A building destroyed by Hurricane Willa in Escuinapa, Sinaloa state, Mexico, photographed on Wednesday, October 24, 2018. Hurricane Willa crashed ashore in western Mexico Tuesday, lashing the Pacific coast with powerful winds and heavy rain. Image credit: Alfred Estrella/AFP/Getty Images. Hurricane Willa slammed into a sparsely populated section of Mexico’s Pacific coast near Isla Del Bosque, Sinaloa, around 9 pm EDT Tuesday as a Category 3 hurricane with 120-mph sustained winds. Rugged terrain just inland led to quick weakening of the former Category 5 storm. Thousands of people were evacuated due to Willa’s high winds and torrential rains. Despite Willa’s strength on arrival in Mexico, the remoteness of the landfall location meant that the worst damage was relatively confined. There were no immediate reports of deaths or missing people, according to the Washington Post. 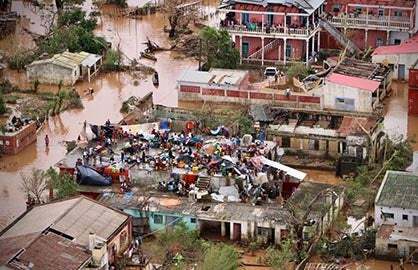 Authorities were still trying to reach several small communities near the coast that were isolated by blocked roads and communication outages. There was no word from Mexican officials on conditions at the Islas Marias, which were struck directly while Willa was at Category 3 strength. More than 1,000 federal prisoners and other residents are located on the largest of the Islas Marias. A low pressure system centered about 900 miles east-northeast of the northern Leeward islands on Thursday morning was growing more organized and is likely to become the Atlantic’s next named storm, Oscar, by Saturday. 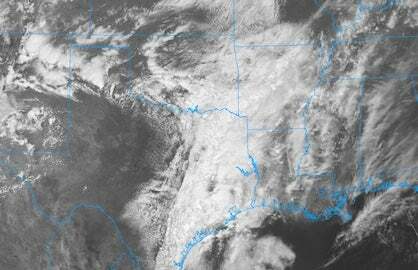 This system was designated 95L by the National Hurricane Center on Wednesday. Bermuda is likely to be the only land area that needs to be concerned with 95L. For more details, see this morning’s post. Dr. Jeff Masters co-wrote this post.